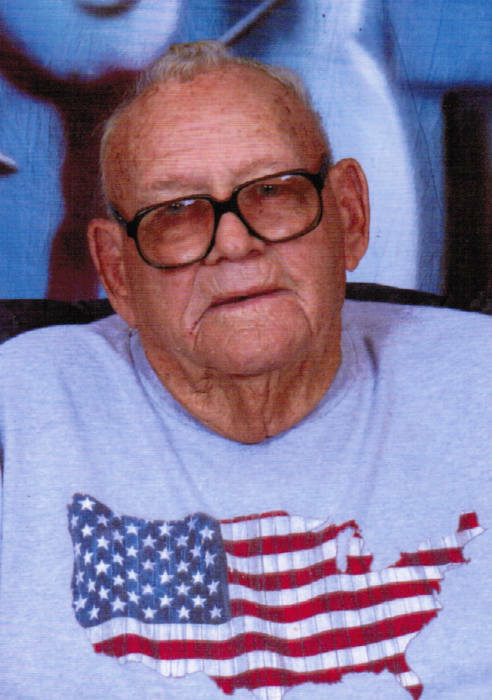 Joe Franklin Buttry, 96, of Augusta, KS, passed away Friday, November 16, 2018 in Winfield. Service 10:30 a.m. Tuesday, November 20, 2018, at First Baptist Church, Leon, KS. Burial will follow at Leon Cemetery Leon, KS. Joe was born in Bentonville, AR on June 7, 1922, to the late Mildred Eva (Bowen) and Loren Hurley Buttry. He served in the U.S. Army Air Corp during WWII. Joe later worked as a heavy equipment mechanic and truck driver at Twin City Bus Company. He is survived by: son, Brad Buttry of Halstead, KS; daughters, Tonya Urban of Andover, KS, Kim Ried and husband Jack of Augusta, Karolyn Wendt of Wichita, KS, Kathy Patry of Wichita, KS; 10 grandchildren; 1 great grandchildren. He was preceded in death by his son, Rick Buttry; brothers, Charles, Hurley, J.D., and Kenneth Buttry; sisters, Christine, Louise, and Betty Jane Buttry.